Pack the power of a tasty meal in this Grilling Set. It features a handle and matching latches for security. 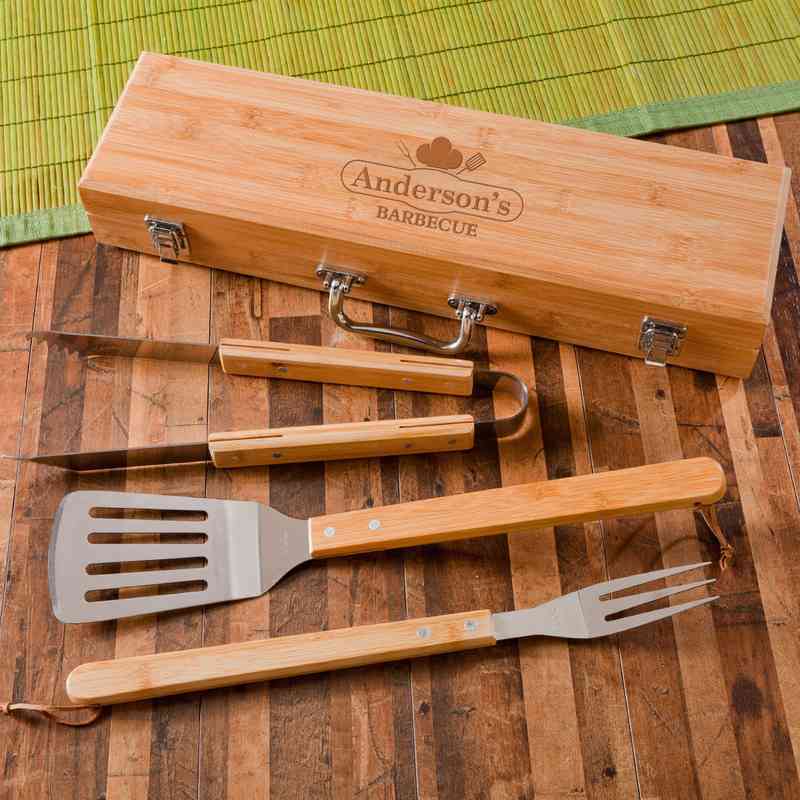 With the high-quality grilling tongs, spatula and grill fork, you'll have all the needed tools packed in a sleek bamboo case. Personalize it with your name displayed between a chef's hat and tools and the word "Barbecue." Manufacturer direct from a trusted supplier.